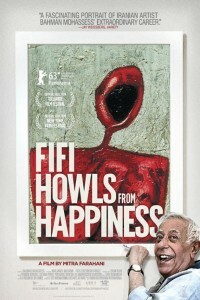 Mitra Farahani’s lyrical documentary Fifi Howls For Happiness explores the enigma of provocative artist Bahman Mohassess, the so-called “Persian Picasso,” whose acclaimed paintings and sculptures dominated pre-revolutionary Iran. Irreverent and uncompromising, a gay man in a hostile world, Mohassess had a conflicted relationship with his homeland—revered by elites in the art scene and praised as a national icon, only to be censored later by an oppressive regime. Known for his iconoclastic art as well as his scathing declarations, Mohasses abandoned the country over 30 years ago for a simple, secluded life in Italy.